The government, Hollywood, actors and actresses, large corporations like Apple, Target, or Harley Davidson, churches, Priests or other religious leaders, tv in general, news reports, sports authorities, Facebook, Twitter, or any other social media, logicians, teachers, philosophers, doctors, lawyers, the society as a whole (general consensus), schools, music, movies, artists, our family, a group of friends, boy scouts, a.a, book authors; both past and present, Buddha, Mohammad, or the Taliban. And last but certainly not least, me; human autonomy. With so many competing voices for truth, which one is above all authority? Which one has the right to trump and silence all other truth claims? The Bible is the only rule to direct us how we should live; how we can glorify God and enjoy him forever. The Scriptures, both the Old Testament and the New, (as originally inspired) are the very words of God written down for our instruction. The Bible holds all things necessary for life and godliness. It is the one and only source of truth handed down and given to mankind. It is God’s history book, his revelation to us so that we might not be confused regarding our origin, our purpose, our our destination. It tells us who we are, why we are the way we are, and how we can be corrected. It tells us of the promise he has given to mankind to deliver and redeem us from sin. It tells of the life, death, and resurrection of Jesus Christ. Without the Bible, we would be without hope, without direction, and without a promise. Who has the authority to instruct us on how we should live? God does. And what resource do we have to tell us these instructions? 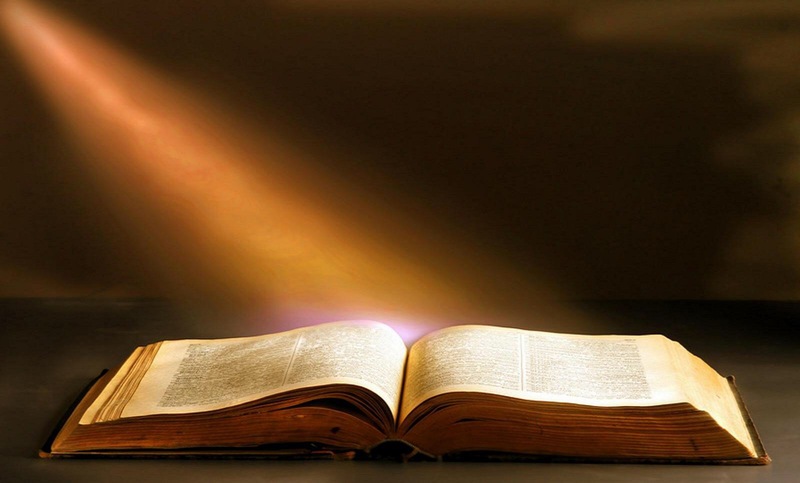 The Bible, the living and abiding Word of God.